John Preston does not work for, consult, own shares in or receive funding from any company or organization that would benefit from this article, and has disclosed no relevant affiliations beyond their academic appointment. It has been 100 years since the body of David Hume Pinsent was recovered from Basingstoke Canal – an event which almost drove one of the greatest philosophers of the 20th century to suicide. Pinsent was the companion and source of stability for Ludwig Wittgenstein, and although people close to Wittgenstein in later years often minimised or refused to recognise it, their diaries and correspondence reveal that they were clearly in love. In 1912, Pinsent entered Cambridge University, to study maths. At a weekly gathering in the rooms of the philosopher Bertrand Russell, Pinsent met Wittgenstein, Russell’s protégé. They quickly became friends, regularly taking tea together, attending concerts, dining, horse riding and making music. Within a month of meeting, Wittgenstein proposed to Pinsent that they go on holiday together to Iceland, a trip they made in September. The expenses of such an ambitious holiday worried Pinsent, but Wittgenstein, whose Viennese family was enormously wealthy, explained that his own father would be paying for them. Pinsent called this “the most glorious holiday I have ever spent! The novelty of the country – of being free of all considerations about economising – the excitement and everything – all combine to make it the most wonderful experience I have ever had”. Back in Cambridge, Pinsent was obviously impressed by Wittgenstein’s philosophical acumen, writing about his novel and unusual solutions to cutting-edge problems in logic. But he also served as a support to the notoriously moody philosopher, who regularly suffered from depression. Pinsent and Wittgenstein took a second holiday together, to Norway, in September 1913. The isolation of Norway suited Wittgenstein so well that, as soon as they returned to the UK, he made plans to go back to Norway, to live and work there on his philosophical ideas. Wittgenstein had a small house built by a fjord, and continued to correspond with Pinsent, who got a first-class degree in maths, and then studied Law. Although they planned to meet in August 1914, World War I intervened. Pinsent was deemed unsuitable for active service, but trained as a test pilot, flying prototype aircraft at the Royal Aircraft Establishment, in Farnborough – alongside other heroic mathematicians and scientists. Wittgenstein served in the Austro-Hungarian army, on the Eastern Front. Evidence was given that Lieut. Lutyens was a registered pilot, quite qualified, and had flown overseas. Both Lieut. Lutyens and Mr. Pinsent had flown in the same machine many times before, and the flights had all been successful ones. The machine had been examined just before the flight, and everything was in as good trim as possible. A witness said the machine appeared to be flying in good condition when all at once it seemed to make a nose-dive, and immediately appeared to fall to pieces. My dear Mr. Wittgenstein, I know you will be very grieved to hear the sad news I have to tell you. My son David was killed while flying on the 8th May. […] He was perfectly happy when flying, he loved it, and I think during the last months of his life he was as happy as a man could be. […] I want to tell you how much he loved you and valued your friendship up to the last. I saw him the day before he was killed and we talked of you. He spoke of you always with great affection and regretted that he could not write to you. […] We often talked of you and hoped to see you as soon as the War is over. 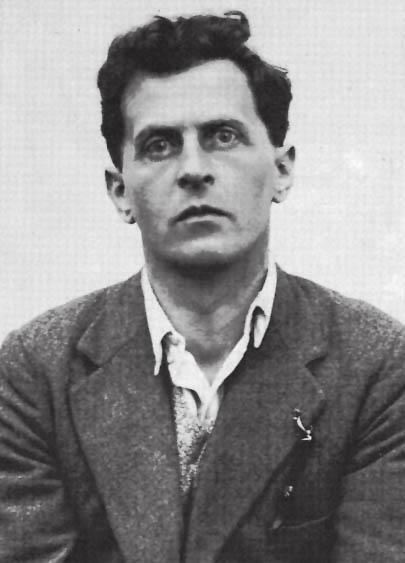 In the immediate aftermath of Pinsent’s death, Wittgenstein was depressed to the point of planning to kill himself somewhere in the mountains in Austria. But at a railway station near Salzburg he bumped into his uncle Paul, who found him in a state of anguish, but saved him from the suicide he was planning. Wittgenstein kept in contact with Pinsent’s family at least until mid-1919, and probably beyond that. Pinsent’s diary reveals that, as well as being moody, Wittgenstein was fiercely intellectually independent, and very rarely influenced by other thinkers. Yet without Pinsent’s presence and support, Wittgenstein’s immensely influential book, Tractatus Logico-Philosophicus, might never have existed. When it was eventually published in 1921, Wittgenstein dedicated it to the memory of Pinsent, his boyfriend.